Te IMF predicts a stronger Nigeria growing out of recession in 2017. Fitch Ratings projected growth of 2.6%, thus instilling confidence in many potential investors. The IMF has expressed its preparedness to lend money at zero interest rate to Nigeria. Presently, Nigeria is experiencing its worst recession in 25 years and its highest inflation rate in ten years. Confidence has been stifled by a negative 2% GDP growth and large outflows of foreign capital. In some ways, it can be described as a shadow of its former self or rather a shadow of what it could have been. Despite the increasing pressures on the economy and government revenue, officials were vocal about the unfavourable positions that the loan facilities presented. Some concerns stemmed from risks that conditions of loan facilities would devalue the Naira. The Nigerian officials’ hesitance to accept the loan facilities sheds light on a Nigerian economy strength, in that its level of debt is not excessively high. This allows for greater opportunities for financing from multilateral development banks and bilateral sources. A more pressing issue, however, is the growing need for greater structure in policies and frameworks for economic growth. In accomplishing the fortification of such policies, Nigeria can strengthen its prospects of gaining funding from international investors. Many, however, would argue that Nigeria is in a “doom loop.” The relatively low access to FX from banks, caused by falling oil revenues, has contributed to the rising demand for the black market and BDC rates. On October 16th, 2016, the black market rates and the BDC rates were both 460 Nigerian nairas/dollar, and the official rate was 315 Nigerian nairas/dollar. 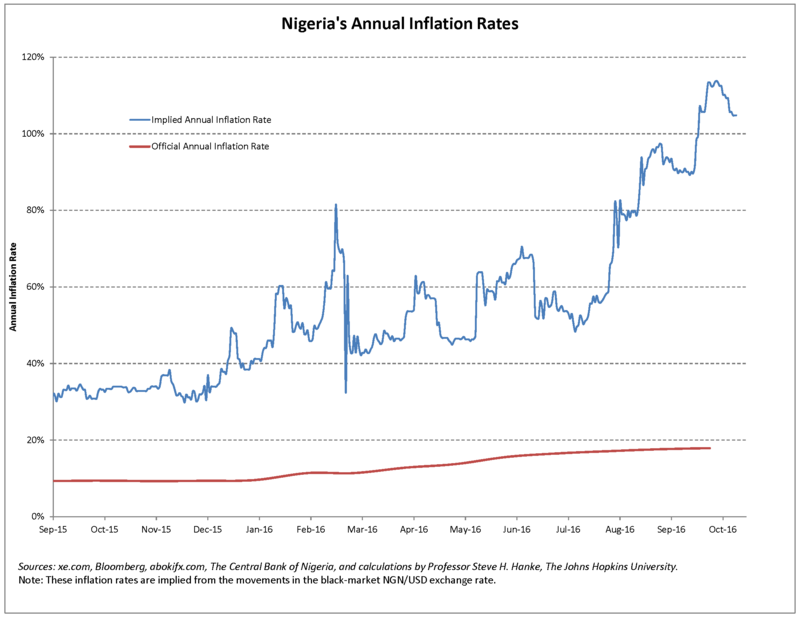 The black market has been brushed off by some figures as unreliable in indicating the true value of the naira. As an example, the CBN introduced a managed “float” and claimed that the resulting exchange rate was a purely market-driven one. 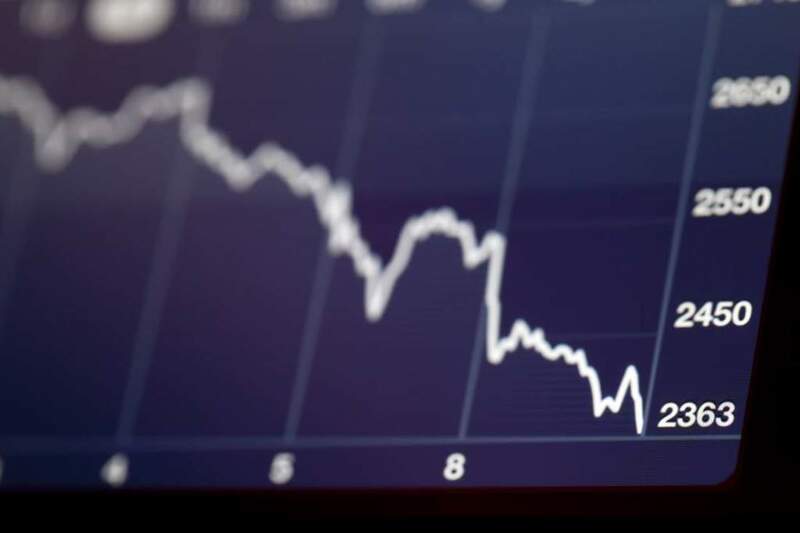 Following a significant one-day depreciation of the official exchange rate, the naira traded at about 315 Nigerian nairas/dollar while the black-market rate plunged to over 450. Many factors were ignored in the calculation of inflation rates and GDP. A call for unique metrics for the African States may be required due to its distinct nature which many Western economies may not possess. Furthermore, the premise of the indices used by IMF for its projections was questioned. Its calculations behind earlier assertions that Nigeria was no longer the largest economy in Africa were deemed as methodologically incorrect by KPMG. Despite the clouds of chaos, the rays of hope are certain to guide courageous investors towards abundant rewards. Patience is the key that will unlock the potential of the African state. At a glance, the FMCG sector present prospects for exponential growth, which, if supplemented by the restructuring of taxation policies, will strengthen both the private and the public sector. Corruption, however, as PwC states, remains a cause for concern that threatens (as much as 37% of GDP) consistent growth. Truly, the only thing stopping Nigeria is Nigeria.